Club Penguin Cheats by Mimo777 Club Penguin Cheats by Mimo777: Club Penguin Rookie Message! This is exactly what Herbert was waiting for. He's attacking us tomorrow and we have to be ready! I'm sorry but how many times can you leave your brain at home? 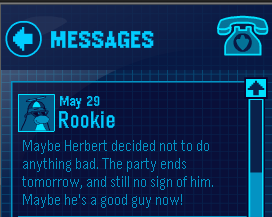 We all know Herbert is going to attack us with the Hydra, but the party ends TODAY, so...? [b]I wouldn't bet on it, Rookie!